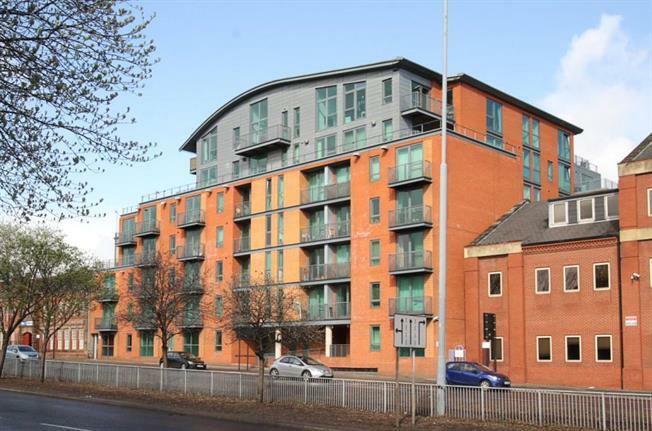 Flat For Sale in Sheffield for £85,000. A wonderful opportunity has arisen to purchase this large studio apartment which has been well designed and offers a good level of specification including luxury shower room and good quality kitchen. The property has electric heating, double glazing, and Juliette balcony and may prove to be of interest to both first time buyers and investors alike. The Jet Centro development also has a concierge and the apartment is located within close proximity to the railway station, the heart of the City Centre and the new Moor Market. The Property is well positioned to enjoy all the city has to offer and is available for sale with no chain involved, currently being sold as vacant possession.